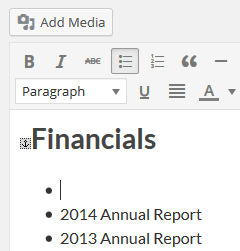 Adding documents to your site is very similar to adding images. 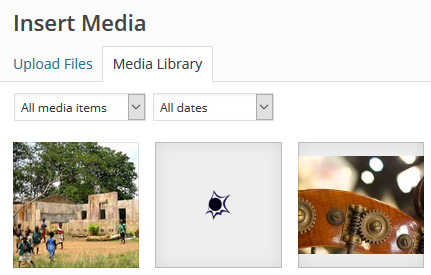 You can upload them directly from within the page editor, and you can manage them all together in the Media Library. Link To: choose Media File since we want this link to open the media file (the document).